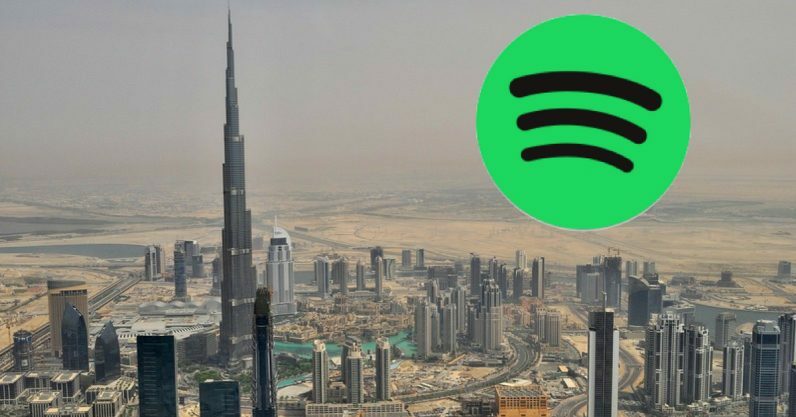 Spotify, the world’s leading music streaming service is expanding to MENA with its UAE launch planned for Q4 this year, a source close to the development told MENAbytes. The Swedish company that recently went public on the New York Stock Exchange in a direct listing, which is different from the traditional initial public offering. Our source has told us the company has already leased an office space in Dubai. Spotify’s recent filing with SEC (when it went public) confirms this. The source has also told us that the company is currently looking to fill at least four positions to build its regional team for MENA that will be based in the Dubai office. Spotify’s Careers website partially confirms this as there are two positions currently listed under Dubai; Senior Editor for Middle East & Africa and Technical Account Manager for Middle East & North Africa. “Even though the company has plans to launch in the third quarter, things are very likely to get delayed and we may not see Spotify in the region until late 2018 or early 2019,” the source added. Currently, the most popular music streaming app in MENA is Anghami. The Beirut-based startup has over 40 million listeners all around the region. Anghami has license agreements with all the major Arabic record labels including Rotana, Melody, Mazzika, Platinum Records, and many others. Their app also features music from international labels like Universal, Sony, EMI, Warner. Anghami has raised almost $29 million in funding until now at a reported valuation of over $100 million in its last round. The startup is backed by some of the biggest names in the region including UAE telecom operator du, Middle East Venture Partners, MBC Ventures, Mobily Ventures, Endeavor Catalyst and Samena Capital. It will be interesting to see how they respond to world’s leading music streaming app entering the region. Spotify has acquired over 13 companies according to the publicly available data since the company was founded in 2006 with 10 of those acquisitions coming in last two years. Could Anghami be another addition on that list? We think it’s on the cards.